Growing up in the 90’s definitely has its perks, including having to rewind a VHS or cassette and watching Saturday morning cartoons. The Millennial Generation has an undeniable appreciation of this new phenomenon, Pokémon Go, as it has made an incredible debut into our digitally-focused world. Nowadays, we are more in tune with our phones and technology than ever, and with the launch of Pokémon Go… we’re having nostalgic flashbacks of collecting cards, singing the theme song and living out our destiny to be the best trainers in this augmented reality. It’s like playing our Gameboy Advance™ has been brought to life… but with better graphics, a bigger screen and ability to tap into our geographical location to better amplify our hunting grounds. 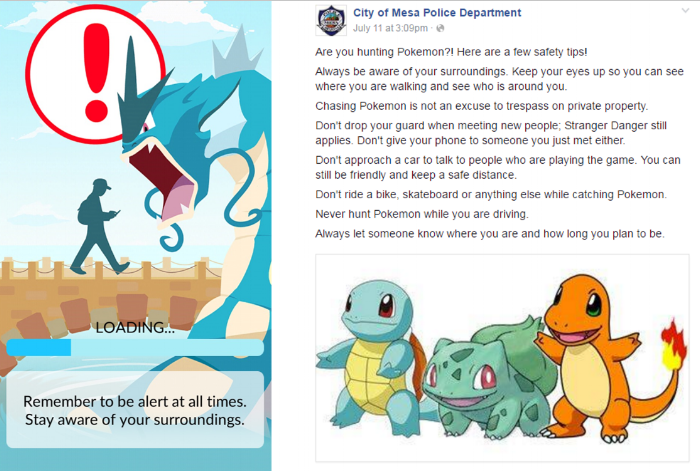 The City of Mesa Police Department put out their safety tips to keep our residents, local visitors and out-of-town visitors safe via their Facebook! We’ve been out hunting the last couple days and have shared across our social media feeds, like Twitter and Instagram on where to go to capture Pokémon and restock items…we understand, you’ve Gotta Catch ‘Em All! Here’s some stops we haven’t mentioned until now! 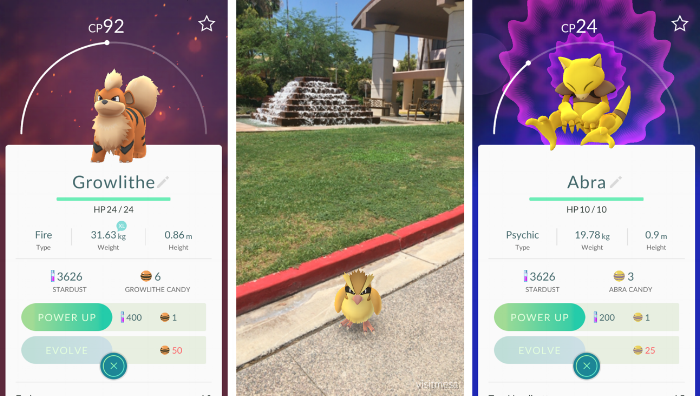 While outside the Phoenix Marriott Mesa off of Centennial Way and 1st Street… we spotted 5 Pokémon, including Growlithe, Pidgey, Abra, Zubat and Ekans. It’s not A Flock of Seagulls… but you’ve got a Fearow & Pidgey hanging out in the parking lot outside of our friends, Beer Research Institute. 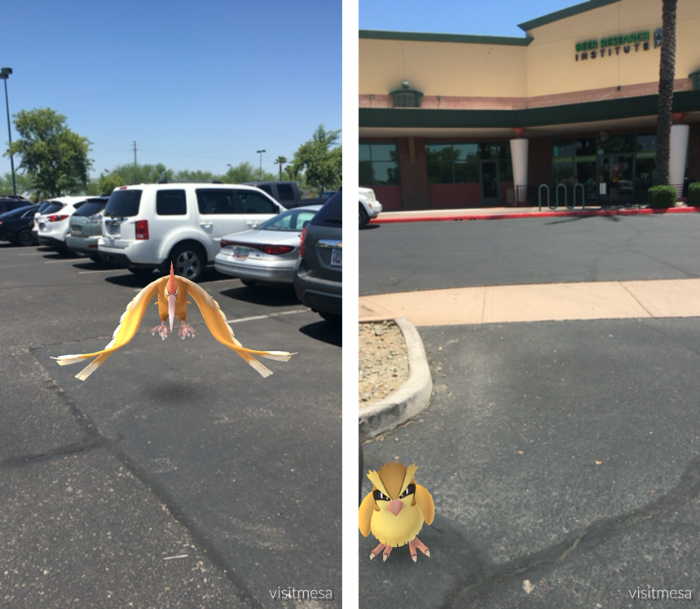 Imagine what other Pokémon you’ll find in the Mesa Grande Shopping Center off the US 60 & Stapely Drive. As previously mentioned in our other social media platforms, our office is actually a Pokéstop where you can restock on Pokéballs and items to move up in the levels of the game! We also found that our neighbors across the street, Mesa Post Office and the Mesa Ampitheater are both Pokéstops, so plenty of opportunity to restock on items whilst trying to catch ‘em all! How could we not get distracted by the Pokémon lurking in our office and just steps away in Downtown Mesa?? We’re excited for the weekend! Get pumped, be prepared and be aware as you’re out and about this weekend! 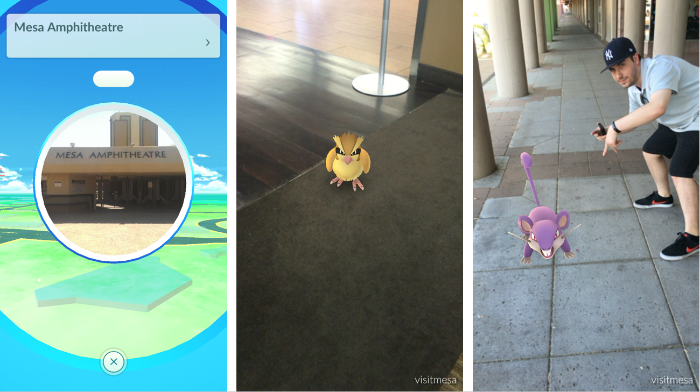 Mesa is already a hot spot for lots of Pokémon spotting and lots of Pokéstops. We’ll see you out there!